College is a transitional period for students who are living on their own for the first time and discovering the passions that will influence the direction of their lives. Throughout all of the rapid changes and uncertainties of the college experience, one thing remains constant: the friendships shared create memories that will last a lifetime. For many University of Florida students, living with friends is a way to make college fun and stay sane from the stress brought on by classes. Gators living in 4 bedroom apartments in Gainesville FL reap the benefits of having a built-in support system of companions who will together share the ups and downs of college, including late night study sessions, celebrating Gator football wins and getting ready for nights out on the town. While living with friends, it’s important to have a balance between private and shared living space. 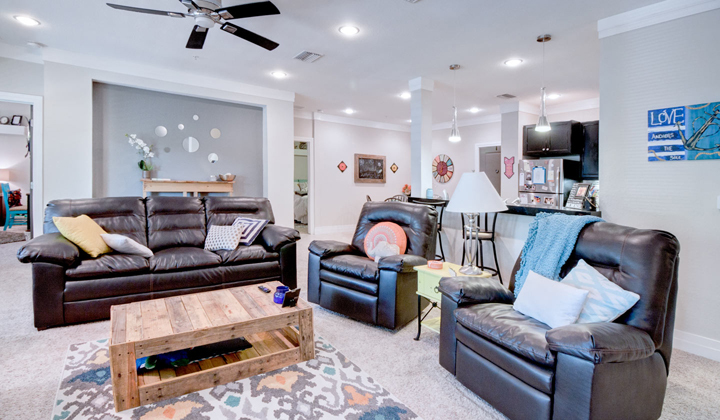 These 4-bedroom apartments near UF are among the largest in Gainesville and are spacious enough to accommodate any group of friends, all the while walking distance to campus and Sorority Row. 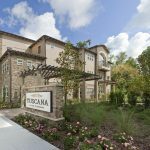 Easily one of the largest 4 bedroom apartments in Gainesville, Tuscana offers UF students space, luxury and convenience with over 1,791 square feet of living area. 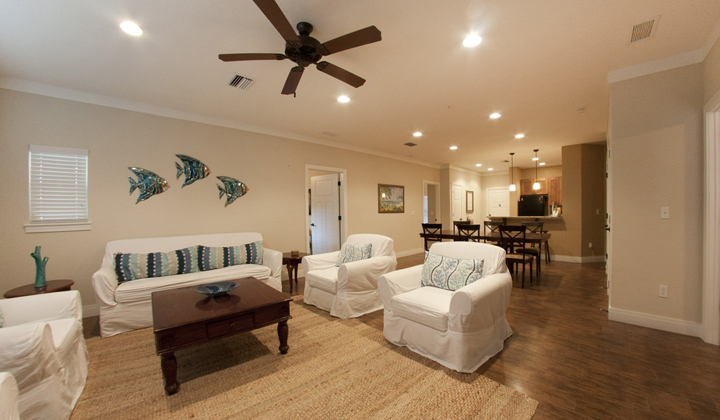 Not only is Tuscana extremely spacious, but it’s also one of the closest apartments to UF’s Sorority Row, making it a popular option for Panhellenic women. Coming in at 1,694 square feet, Savion Park’s 4 bedroom Gainesville apartments include oversized balconies with pond views, stainless steel appliances and luxury bathrooms. 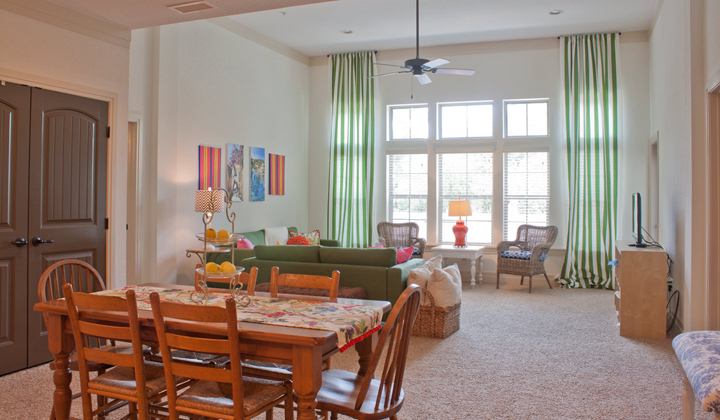 Solaria is also located just steps away from the UF campus and Sorority Row. A mix of modern luxury and Spanish charm, Solaria’s 4 bedroom units offer 1,660 square feet of living space. Amenities include gourmet kitchens with granite countertops, a cozy outdoor fireplace and luxury bathrooms with full-size tubs with porcelain tile-surround. 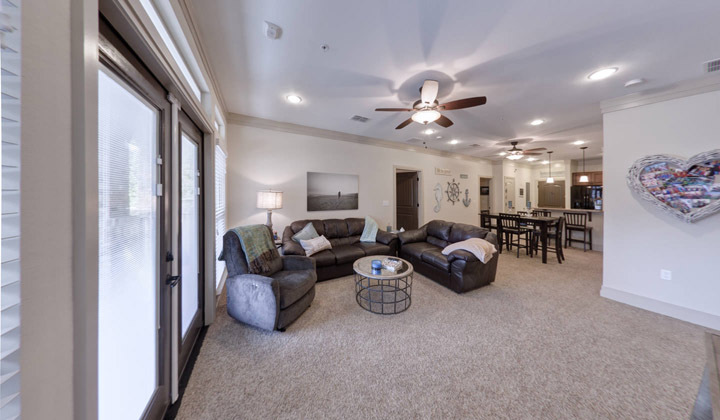 Archstone’s 4 bedroom apartments are approximately 1,544 square feet and feature petrified wood floors, built-in bookcases and gourmet kitchens with granite countertops. Located only 1 block from the UF Business School, Archstone is the perfect complex for UF students who want to skip the long bus ride every morning and walk to class. 4 bedroom apartments near UF are the perfect option for students wanting to create countless laughs and memories with friends in college. Students who live in four bedroom apartments in Gainesville have more space than they would living alone in an apartment and are also able to share the priceless experiences of attending the University of Florida. It’s a win-win!